Giraffes are lots of fun to draw. Their body shape is so unusual that they inspire all kinds of imaginative things, like parades and circuses and more, and these can be excellent settings to put them in if you want to generate interest and a sense of excentricity into your drawings or paintings. Of course, a giraffe's natural habitat is on the plains of Africa, where they use their long necks and very long tongues to reach up eighteen feet or more into acacia trees to eat the leaves that no antelope could ever hope to get to. 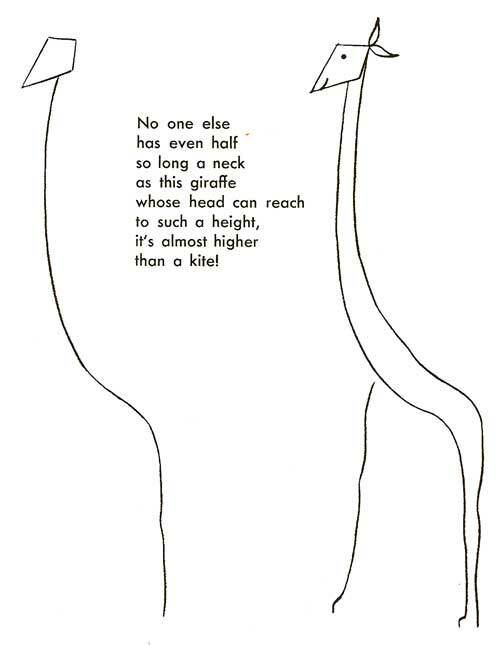 Giraffes tend to travel in groups, so it would be quite appropriate to draw groups of them. Don't forget to draw their horns, either. Giraffes have two to four (usually two) short blunt horns at the top of their head that are about as long as their ears. The horns are almost always covered by brown fur at the base and blend into black fur at the top. Giraffes also have a prominent lump right at the top center of their forehead, a bit above their eyes.